Atrium windows are a type of window that can be found only from North America’s largest window and door manufacturing company, headquartered in Dallas, Texas. These windows are manufactured following strict methods ensuring quality and deliverability. The foremost quality that sets these windows apart from others is that there are more style options to choose from for both residential and commercial customers. The history of Atrium windows started back in 1948 in the Rural Hall of North Carolina. Back then, aluminum was the main material used for the windows, but later on, it shifted to vinyl, a material more preferred by the customers around the year 2000. The idea behind these windows is about keeping the nature and outdoor beauty, which means that the clear glass windows will allow you to appreciate the outside beauty of your home. Genuine Atrium windows bear the company trademark Atrium and Wing, and they have certified labels of building material certifying agencies, such as the American Architectural Manufacturer’s Association (AAMA), National Accreditation Management Institute (NAMI), and the National Wood Window and Door Association (NWWDA). Atrium windows are preferred by many home builders and architects because of their durability. These windows use double and triple glass panels that lock air inside, providing insulation for temperature, UV rays, and sound. The thin silver layer that comes with the glass allows natural light, but prevents heat, to pass through. This feature makes home temperature comfortable, which is perfect for saving energy used in air conditioning and heating. When it comes to construction, Atrium windows have fusion welded, multi-chamber frame design for durability and strength. The warm-edge, three-quarter-inch-thick insulated glass saves heat and secures cold, providing superior thermal efficiency. These windows are resistant to weather, low maintenance, easy to install, and can be customized according to customer needs. The best thing about Atrium Windows is the long list of colors and specifications customers can choose from. 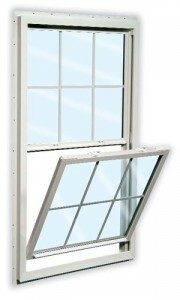 Depending on the window style, frame options are block frame or pre-punched mounting flange. There are several glass tints to experiment on: bronze, azure, green, gray, laminated, obscure frosted, obscure glue chip, obscure rain, obscure reed, argon gas fill, and low E coating. Moreover, exterior color can be selected, which includes cranberry red, black, brown, silver, and green. The frames can be white almond or adobe finished, and all window styles are triple glazed. Grid pattern is an optional feature, which the customer can prefer not having for easier cleaning; however, the patterns available are colonial, diamond, three-leg prairie, prairie, and custom. When purchasing Atrium windows, make sure that you discuss product specifications well with the company representative. Installation problems may arise after a few days, but the company provides customers with limited lifetime warranty, so problems like dented frames, glass peeling, cracked corners, and others can be readily addressed without hassle. Furthermore, make sure that you choose the best window style for your home tilt turn, awning, casement, picture window, horizontal slider, single hung since every window in your home will surely look good only with a particular style. See How Much You Can Save On Atrium Windows Today! Prices of window products at Atrium Windows differ according to type, color, size, and features. Thus, it is necessary to compare prices of various window types and to put products side by side in order to see the pros and cons. When it comes to warranty, Atrium offers different warranties depending on the manufacturer, as most of them give their products a certain length of warranty years based on materials and confidence. Therefore, the price of the product you will get is dependent on your careful selection and inspection.